Outdoor 54 LED Flood Light is a fully Solar Powered product that does not require any additional electric wires or other sources of energy. 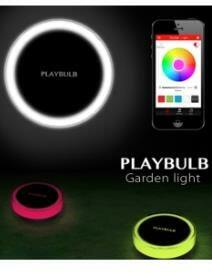 It designed for outdoor landscape Illumination with an advanced waterproof protecting rating. The LED light equipped automatic light sensor that makes it energy and cost-effective solution for a House, Patio, Garden and Lawn Decoration, Backyard, Garage, Pool, and other outdoor areas. 5W Solar Flood light is a bright, high-quality wireless COB LED chip security light with IP44 protection for outdoor landscape Illumination with advanced waterproof design, adjustable COB LED light head, PIR Motion sensor and other functions to make it one of the best energy efficient and maintenance free solutions for a House, Garden and Lawn Decoration, Backyard, Garage, Pool, and other outdoor areas. 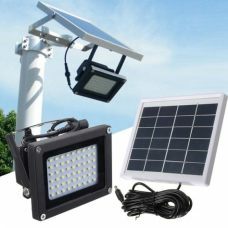 Solar Power 40 LED Flood Light Outdoor Landscape Illumination Waterproof Design Automatic Light Sensor Highly-Efficient Solar Panel Wall Mount and Ground Stake Fixing Suitable for House, Garden and Lawn Decoration, Backyard, Garage, Pool, and other outdoor areas. 10W Solar Power Flood Light Two LED colors available: Warm White and Cool White Designed for Outdoor areas Waterproof and Weatherproof Automatic Light Sensor Long Lifespan Suitable for House Patio Backyard Garden Lawn Garage etc. What should be known about LED Solar flood lights for outdoor before buying one? An illumination of your property at night can be an amazing solution that can either be beneficial for decoration and security. One of the best options is LED solar flood lights that come in many different models and types on the market. However, what should be known about floodlights to consider? Solar powered lights usually consist of attached or detached solar panel which charges batteries and the actual light head with LED bulbs. The brightness of the LED lights powered by the sun depends on the number of these LED chips and may vary from few to 150 pieces and even more. Most of the models of floodlights have a built-in light sensor that set the light into an active mode at night and deactivate it for charging at the day. On top of that, some models of these lights also equipped with motion sensor also known as PIR motion sensor that reacts on movement in front of the light and turns it on when needed. This feature does not just make such operation mode convenient but also benefits for security purpose. Standard On and Off switch is not a very common option, however, is still can be found. LED Solar lights for outdoor are well-known for their energy efficiency and significantly reduced maintenance and service costs due to long life. In comparison to traditional halogen lamp LED lights last 5-10 times longer. No need to mention the amount of money that can be saved just by using solar power instead of electricity. In size and appearance, solar flood lights for outdoor illumination can differ significantly. The most well-known types of high powered lights available in Australia are very from garden and landscape LED lighting in different designs and styles to solar security flood lights equipped with modern PIR motion sensors. Recently there were developed entirely game-changing products like, for example, floodlights with a remote control that allow operating the lighting devices including turning them on and off and shifting between different lighting performance modes with just a click of a button. 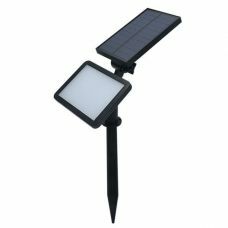 In fact, very multifunctional and efficient as an exterior lighting device, solar flood lamps for outdoor can have various application depends on household needs. These lamps can be useful in almost any outdoor environment including landscaping for a garden, highlighting particular objects in the backyards or entire architecture, illuminating dark aisles and corners of the yard near a garage or trash bins. It worth to have a closer look at some of the most popular types of these LED lights available in Australia before deciding which kind of lights is more suitable for your environment. As a matter of fact, dark areas around a property whether it is a porch, isle or sidewalk at the backyard or garage door may not be just scary at night. But also may attract some unwanted visitors to your home. The solution may sound simple with just the light on; however, it may cost a fortune for a household in electricity bills. From this perspective, solar security lights seem like far better idea for safety around the house and maintenance of emergency outdoor lighting when you need it. Keeping a welcoming pool of lighting in front of a house is a smart hospitality and security solution that won’t incur any additional electricity bills. Solar powered security flood lights are not a just energy-efficient product, they do not cost much and are also easy to install as a DIY product without professional assistance. Some models including LED products like, for instance, solar security floodlight with motion sensor are truly gems of outdoor lighting that also have a substantial decoration potential for illumination of a property in the way you like. No doubts, Solar Garden Lights have a lot of power when it comes to LED outdoor lighting and can entirely transform any outside garden space or yard into a beautiful, charming and functional spot. No matter what the primary purpose is whether you would like to see your veranda or garden as a gathering place for friends and family or as a comfortable and peaceful spot for relaxing, LED lighting can bring all necessary decoration touches your home deserves. Exterior solar flood lights with various installation options including wall mount and ground stake can be placed almost anywhere with desired LED colour, brightness and lighting angle. So, just imagine what your Dream Garden includes and make it happens with the help of solar garden lights in a combination of other LED lighting devices like walkway lights, post lamps and featured spot lights. There are almost uncountable options for experiments with style between cheeky and fun or classic and elegant, modern or funky. Whatever you decide, just keep in mind that garden flood lights are one of the most powerful, attractive and energy-efficient ways to express yourself and your personality through garden landscaping and of course boost your casual outdoor evening leisure time. It is well-known that in most cases a landscape is something Australians work hard to enjoy during the day. Nothing can be more peaceful and relaxing than a beautiful garden and yard. But there is no single reason why you should enjoy it only during the day and not at night? Indeed, outdoor solar landscape LED lights to allow creating magnificent landscaping accents on anything you are proud of and would like to highlight for yourself and display for guests until late at night. Solar powered landscape flood lights do not have wires and can be installed just about anywhere with access to the sunlight. Feel free to create an imaginative scene with a charming garden solar flood light for outside with a wall or ground stake mount or an outdoor hanging lantern. No matter what kind of LED lighting you prefer for your backyard or garden landscape, solar lamps can handle any or your outdoor lighting projects. Solar industry including outdoor LED lighting has significantly developed over the last few years. 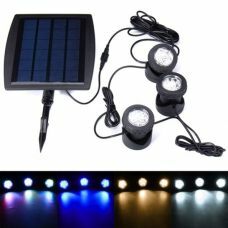 As the result, there are plenty of new featured solar powered lights have come to the market of Australia. Solar flood lights with Remote Control are an excellent example of how technology can dramatically change the functionality of exterior lighting products. In a nutshell, such devices have all standard features of a traditional floodlight, but with extended operation practicality. A remote control is an incredible addition to the light that not just allows turning it on and off, but also changing LED lighting colours and switching between various lighting modes. A little battery operated pad with buttons provides full control over the outdoor lighting within the range of 7-10 meters or even more with some models. Similar to the one described above, flood lights with a Remote Solar Panel is another example of the development of the typical product that provides more functionality and flexibility for application of LED lighting. Usually, Solar Panel is detached from the light head and connected with it with a cord that allows placing the solar power element under the direct sun for proper charging while the headlight can be located under the shelter or in a shaded area. Flood lights as a widely applicable outdoor lighting solution for covering larger areas with constant lighting flow are suitable not just for residential usage. Industrial and commercial solar flood lights are also trendy among Australian businesses including cafes and restaurants, RSL clubs, apartment blocks and elder care villages, warehouses and even large-scale business like construction sites and mining corporations. In most cases, commercial lighting for an outdoor application has larger solar panels, more LED bulbs for brighter illumination and a stronger higher-capacity battery. Needless to say that such a product featured with industrial and commercial grade performance cost more than average residential lights, but at the same time, the return on investments would be much higher. As we discussed previously, Solar powered flood lights for outdoor have an enormous amount of benefits which make this product a great option for updating existing outside lighting in any household. Undoubtedly, one of the most significant advantages of switching to a high powered solar flood light for your home, garden, patio, backyard, veranda, balcony or swimming pool area is the efficiency and environmentally friendliness of the device. There are at least a few strong reasons for that. First, flood lights powered by solar are wireless lighting products that run entirely on solar energy in combination with rechargeable batteries and therefore do not require any electric cords from the main power grid. Second, LED flood lights for outdoor lighting would not cost your household a penny of extra electricity bills. After charging during the day through the solar panel, the device is capable of supplying your outdoor areas with lighting all night long without requiring you even touching the switch of the light. It is entirely maintenance-free illumination product that automatically detects the dusk and activates the lighting with a pre-set mode. Finally, exterior solar lights do not create any pollution and require no fossil fuel rather than clean natural energy from the sun. 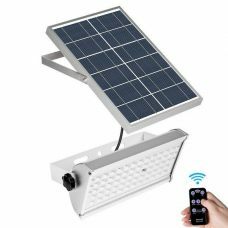 On top of all the benefits we have mentioned already in regards to a solar powered flood light, there is another principal advantage of choosing solar panel lights and lamps. It is how universal the LED product is. These lights come in a various range of styles supported with different LED colours and illumination modes that make it simple to accommodate any purpose and taste. Solar panel floodlights can be fitted just about anywhere without any unique skills or professional assistance. You can choose a wall mount to install it on the fence, porch or ceiling, or ground stake for garden and lawn application around your house. Whichever way you decide, be sure that you are capable to do-it-yourself. Protection of the home the same as the safety of the entire family are the values that cannot be compromised not just in Australia, but anywhere in the world. There are not many proper barriers to stop intruders from breaking into a property than conventional outdoor lighting at night time. From this perspective, solar powered flood lights with PIR motion sensor is an example of a cost-efficient and reliable solution for maintaining exterior security and emergency lighting at night around the house including garden, patio and backyard, dark aisles and walkways near a garage, carport or any other outside locations. Similar to solar powered flood lights with on and off switch, LED motion activated light utilises the energy from the sunlight to charge the battery for an upcoming night to run outdoor lighting. However, the main difference between these two is that the built-in sensor can fair accurately detect movement of someone approaching a specific range area from the light. The lamp will immediately turn on to illuminate the space and alert about someone’s presence or welcome family’s member on the porch. The good news for everyone who is looking for such lighting products is these products are more than affordable. For example, the top high-quality featured models of LED floodlight with motion detector are available online for just under $100, and there is no reason to pay more. How to choose the best solar LED flood lights from the right supplier? 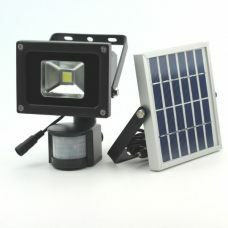 Solar LED flood lights provide illumination over a wide area. When selecting solar outdoor floodlights, it is necessary to consider at least the purpose of lighting, brightness and operation mode. It is better to plan ahead and consider whether the light is it for confined space or an open space? What is the primary purpose whether it is safety or convenience? Depends on answers floodlights with a variety of features can be easily compared to find the best solution. Just to keep in mind detached photovoltaic panel connected to the head of the light by cable can be a great idea in circumstances when solar panel needs to be placed on a distance from the light to get the most sun while setting the light where needed. Usually, from a full sunny days’ charge, the light will last all night. The use of outdoor LED flood lights is not restricted to just gardens or residential purpose. Even despite that solar garden flood lights are one of the most popular ones, LED lights are also commonly used on commercial buildings, boats and in car parks. Lithium-ion rechargeable batteries and long-lasting bright LED can provide exceptional performance for areas that are difficult to get to and required a reliable light. 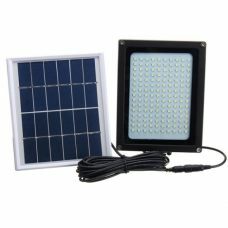 Finally, when looking for solar panel lights, it is recommended to pay extra attention to solar LED flood lamps and lighting’ suppliers since they may help to choose the most suitable product for a particular environment. Many people are wondering what exactly makes solar lights and LED lighting products so independent, so you do not even need to touch the switch. So we decide to expose the secret at an example of an outdoor solar floodlight. The solution behind this hands-free know-how is a type of sensor also known as a light-control sensor that is responsible for the detection of the daylight and dusk. In other words, a little chip can decide whether it is day or night outside and send the signal to the light control to turn the power on or off. Today the vast majority of such lighting products including this type of lights are equipped with this automatic daylight sensor that makes the entire operation of outdoor lighting devices wholly automated and maintenance free. However, it is essential to know the difference between day/ night light sensor and other well-spread technology called PIR sensor. The last one is present, for instance, in solar led sensor floodlight and allowed a product to detect motion as a trigger for turning the light on. Today most of the solar lights have built-in automatic lighting sensors, but not most of them are featured with PIR motion sensor. As a conclusion, there are quite a few major technological features available on the outdoor lighting market, and it is vital to examine all of them correctly before buying this type of light. Now, if you will see in the title of the product something like LED solar floodlight with PIR, you can be certain that this device has both sensors including daylight and motion. How are LED solar sensor flood lights different from other PIR motion security lighting? There is no doubt many people experienced the inconvenience of coming home in the dark, tripping over the stairs and fumbling for keys. However, to leave the porch light on all day is not an option as well. So, LED solar sensor flood lights with motion sensor are a great solution for maintaining lightening at the desired area without adding a fortune for an electricity bill. That simply makes motion-activated security lights very popular in Australia that offers a quite extensive range of models. The eco-friendly sensor light absorbs the sun and charges the batteries during the day. At night time, the motion sensor (also can be known as a passive infrared sensor) can detect movements with an extended range within a 180-degree radius and trigger the switch to turn it on. Another significant advantage of these types of floodlight is that it has different settings that can be adjusted to set the motion detector’s sensitivity and time of the light should stay on after a motion is identified and light is turned on. Sensor lights are a smart and simple technology that is capable of delivering an extraordinary value for the money and serve as a security lighting. How to find the best supplier of solar flood lights in Australia? Although Australia yet is not well-known for manufacturing solar lights for outdoor lighting, same as other solar-powered systems, however, the market is currently continuously growing from year to year. 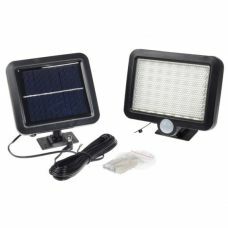 Suppliers offer a wide range of this type of lights that can be easily found online like Sunny Bunny Solar Power Store based in Australia that is specialising on providing LED solar powered flood lights and other products with free delivery nationwide. Orders can be shipped free of charges not only to metropolitan areas including Sydney, Melbourne, Canberra, Perth, Adelaide, Darwin, Cairns and Hobart but also to the remote areas in all states NSW, Victoria, Queensland, South Australia, Western Australia, Australian Capital Territory and Tasmania.